For the second time in the town, at the crossroads of the streets, the Dubingiai tavern was standing for the second time. It was built in 1842 by Count Boleslovas Tiskevicius. Its owners have changed many times. In 1968 the tavern was reconstructed and equipped with a lounge. It is the largest in eastern Lithuania. Protected as characteristic of the 19th century. I half-type of tavern, considered an architectural monument. 2008 After the reconstruction of the tavern, the Visitors' Center and Directorate of Asveja Regional Park settled there. Visits Center is available for access to 2013. 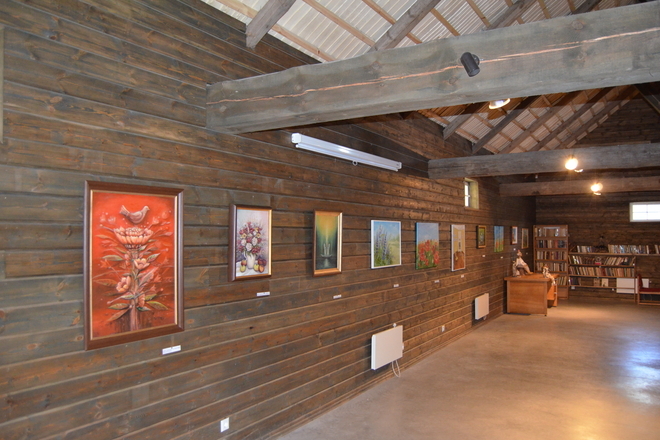 The exhibition "The Mysteries of the Largest Lake of Lithuania, the Archaeological Heritage of the Longest Lake of Lithuania", exhibitions organized here, as well as interesting information about the objects of interest, campsites and to order trips, hikes, is arranged with the park's natural and cultural values.